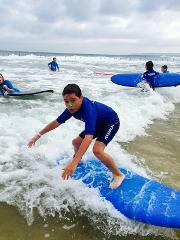 Get your surfing ready for summer with our "Surf Into Summer 5 week surfing program". This program will run from the first weekend in Nov through to the first weekend of Summer Dec 3rd. These lessons begin on the 21st of Feb then run on the 28th, 6th, 13th & 20th of March. 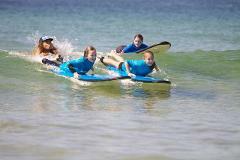 the lessons will run at Nobbys Beach and Blacksmiths Beach at 9am. Lessons will go for 90 mins, all equipment is supplied.